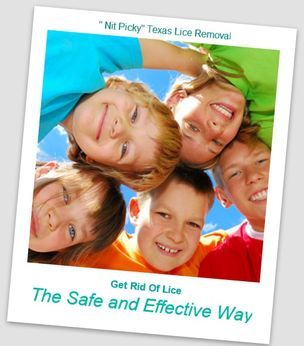 Nit Picky's in-home head lice removal service is trusted, effective, and 100% guaranteed. Our head lice treatment is a safe and effective way to treat your family for head lice and nits and all that you need is just one treatment with our clinically proven lice and nit removal techniques and non-toxic products. Save time and money and hire our Texas mobile lice removal service. The specialist will come to your home and screen all family members and treat those who need to be treated with pesticid free and non-toxic products and the most professional lice treatment process. What sets us apart is that we come directly to you and bring all of the benefits of a lice salon and more. By hiring us to come to you, your family can comfortably go about their daily routines. Plus, parents can focus on laundry, vacuuming, preparing meals or helping the children with homework while the lice specialist takes care of the infestation and removes lice and nits from each individual family members hair. This saves parents time from driving and shuffling the children around and eliminates stress since life is resuming as normal with a Nit Picky Lice Specialist by your side. Arlington, Dallas, Fort Worth Metropolitan : Addison, Allen, Arlington, Bedford, Bonham, Bridgeport, Burleson, Carrollton, Cleburne, Colleyville, Corsicana, Dallas, Decatur, Denison, Denton, DeSoto, Duncanville, Ennis, Farmers Branch, Forest Hill, Fort Worth, Frisco, Gainesville, Garland, Glen Rose, Graham, Granbury, Grand Prairie, Grapevine, Greenville, Henrietta, Hillsboro, Hurst, Irving, Lake Dallas, Lewisville, Mansfiels, McKinney, Mesquite, Nocona, North Richland Hills, Paris, Plano, Richardson, Richland Hills, Roanoake, Sherman, Southlake, Sulphur Springs, Terrell, The Colony, Waxahachie and Weatherford and surrounding cities. Houston Metropolitan: Aldine, Algoa, Alief, Alvin, Angleton, Bay City, Bayou Vista, Baytown, Bellaire, Brazoria, Cedar Creek, Channelview, Clear Lake City, Cleveland, Clute, Columbus, Conroe, Crosby, Cypress, Dayton, Deer Park, Dickinson, Eagle Lake, El Campo, Elmgrove, Freeport, Fresno, Friendswood, Fulshear, Galveston, Hempstead, Hillcrest, Hitchcock, Houston, Humble, Jamaica Beach, Jersey Village, Katy, Kemah, Kingwood, La Marque, La Porte, La Salle, Lake Jackson, League City, Liverpool, Long Point, Magnolia, Meadows Place, Missouri City, Montgomery, Morgans Point, Nacoqdoches, Nassau Bay, Pasadena, Pasdena, Pearland, Port Bolivar, Porter, Prairie View, Richmond, Rosenberg, Rosenburg, Rosharon, San Leon, Seabrook, Sealy, Shenandoah, Shoreacres, Southside Place, Spring, Stafford, Sugar Land, Sunny Side, Texas, City, The Woodlands, Tomball,Waller, Webster, West Columbia, Wharton, Willis, Woodlands. Greater San Antonio: Alamo Heights, Balcones Heights, Boerne, Bulverde, Canyon Lake, Castle Hills, Castroville, China Grove, Cibolo, Converse, Cross Mountain, Elmendorf, Fair Oaks Ranch, Garden Ridge, Grey Forest, Helotes, Hill Country Village, Hollywood Park, Kirby, LaCoste, Lake Dunlap, La Vernia, Leon Valley, Live Oak, Macdona, Marion, McQueeney, New Berlin, New Braunfels, Olmos Park, Santa Clara, Seguin, Selma, Scenic Oaks, Shavano Park, Schertz, St. Hedwig, Somerset, Terrell Hills, Timberwood Park, Von Ormy, Windcrest, Universal City, Zuehl and surrounding cities. There is no law in Texas that addresses excluding children with head lice from school. DSHS does not have authority to impose a set policy about head lice on school districts. However, DSHS does urge school districts to ensure that its policies and procedures do not cause children to miss class unnecessarily. In addition, school districts’ policies and procedures should not encourage the embarrassment and isolation of students who suffer from repeated cases of head lice. Lice are not a public health threat. They do not carry disease. Therefore, the Department of State Health Services does not monitor or track cases of head lice. It is up to each school district to create head lice policies and procedures, if they so choose…and some do. Talk to the school nurse or someone else in charge to find out what the school policy and procedures are in your school district. Refer to the topic "Setting Policies for Schools" that appears on this page for policy suggestions. The American Academy of Pediatrics (AAP) states from a 2010 research study on head lice, the number one key point in the study: "No healthy child should be excluded from or allowed to miss school time because of head lice. No-nit policies for return to school should be abandoned." Information for schools is located at the end of the study article. Additional information on “no-nit” policies for schools can be found through the American Academy of Pediatrics and the National Association of School Nurses.